Founded in 1981 by Ron and Marilynn Morgan & now run by the second generation. We continue to grow and expand in the mountain west. 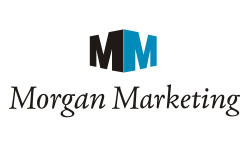 Morgan Marketing is dedicated to the marketing and sales of quality products to the foodservice industry. Our intent is to establish each of our vendors as a premier supplier to the key operators and distributors in our marketplace. Through integrity, commitment & trust Morgan Marketing is recognized as the leading independent food service broker in the mountain west. Located in an 8,500 square foot facility in Salt Lake City Utah. We boast state of the art test kitchen, CRM system and up to the minute sales date. Our team has every tool needed to grow our valued partner’s business.